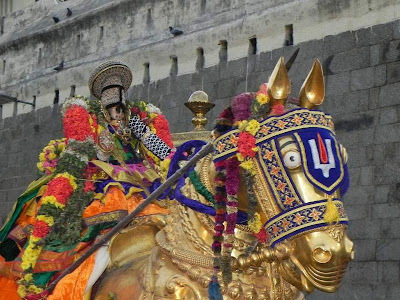 emperumAn's archAvathAram is the pinnacle of his great qualities. The following articles are to enjoy the greatness of archAvathAra emperumAns through the dhivya srisUkthis of AzhwArs/AchAryas. ebook containing all the articles in this series - https://docs.google.com/open?id=0ByVemcKfGLucZGg5cmk2eGRFbHM. thirumazhisai AzhwAr anubhavam - http://ponnadi.blogspot.in/2012/10/archavathara-anubhavam-thirumazhisai-azhwar.html. madhurakavi AzhwAr anubhavam - http://ponnadi.blogspot.in/2012/10/archavathara-anubhavam-madhurakavi.html. kulasEkara AzhwAr anubhavam - http://ponnadi.blogspot.in/2012/10/archavathara-anubhavam-kulasekara.html. thoNdaradippodi AzhwAr anubhavam - http://ponnadi.blogspot.in/2012/10/archavathara-anubhavam-thondaradippodi.html. thirumangai AzhwAr anubhavam - http://ponnadi.blogspot.in/2012/10/archavathara-anubhavam-thirumangai.html. thirukkachi nambi anubhavam - http://ponnadi.blogspot.in/2012/11/archavathara-anubhavam-thuirukkachi-nambi.html. piLLai lOkAchAryar anubhavam - http://ponnadi.blogspot.in/2012/11/archavathara-anubhavam-pillai-lokacharyar.html. azhagiya maNavAL perumAL nAyanAr anubhavam - http://ponnadi.blogspot.in/2012/11/archavathara-anubhavam-nayanar-anubhavam.html. azhagiya maNavALa mAmunigaL anubhavam - http://ponnadi.blogspot.in/2012/11/archavathara-anubhavam-mamunigal.html.